Apple Inc. is planning to launch iPhone 8 model also later this year, which will compete directly with Samsung Galaxy S8. The iPhone 7 has been a big success for Apple so far but, Galaxy S8 models now have raised the bar – Which Apple Inc. now have to match otherwise may lose its users this time. This year Apple will also celebrating the 10th anniversary of their iPhone – Their most profitable product till the date. 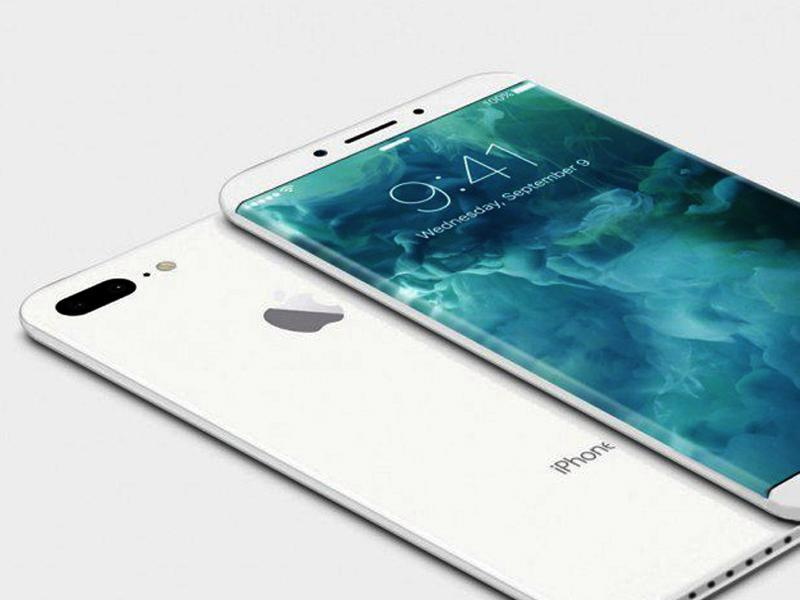 iPhone 8 news and rumors are all over the Internet; since it’s reveled that this year Apple will launch 3 new iPhone’s. iPhone 8 Edition will be the premier flagship smartphone this time instead of upgraded version of iPhone 7. The design of iPhone 8 Edition is also different with curved OLED display, NO home button and 5.8 inch screen size . We have told our readers that Apple is pushing LG to enter the OLED display markets and has already asked them to participate in the bidding process. Samsung is currently the only OLED display supplier in the world. The reports are iPhone 8 home button will be inside its OLED display screen just like Galaxy S8. This allows Apple to increase the screen size of iPhone 8 Edition – which is rumored to be around 5.8 inch. There are also reports that Apple may also change the name of iPhone 8 to ” iPhone Edition” according to various authentic sources. The leaks of iPhone 8 Edition also suggests that Apple will move the finger print sensor on the back side of iphone below the logo. Which means that iPhone 8 edition will be much more slim and a larger display without a home button. It may also follow Samsung Galaxy 8 with OLED glass display on both front and back. Currently, iPhone 7 models have a metal body on the back side instead of glass. The finger print sensor button on backside of the iPhone 8 edition received backlash from some users; who believed that it’s a terrible move by Apple Inc. They took the Reddit platform to share their opinions and the large number of Apple users seems shocked and unsatisfied with this move. We will be brining you all the news, rumors, leaked prototypes and all updates about iPhone Edition in upcoming weeks.